I reached 401 day long streak on Elevate today. I was at 101 last time when I wrote about this cool educational app. 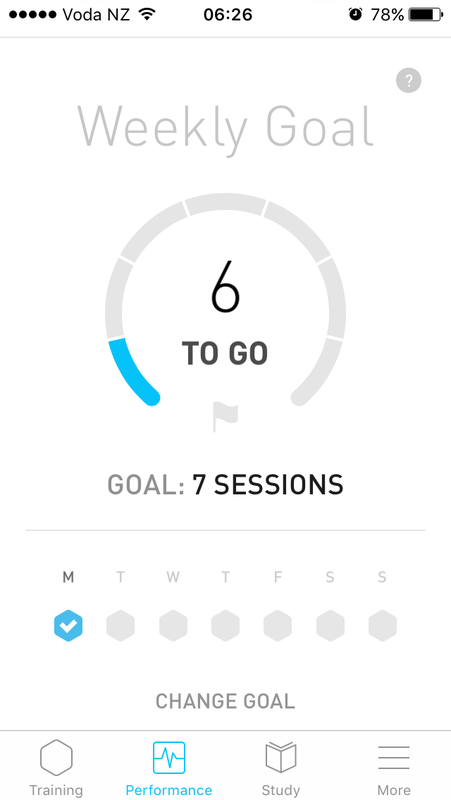 Elevate combines two of my passions: deliberate practice and building tiny habits. This is what makes me reach out to Elevate as soon as I wake up every morning. It hurts to break a habit streak. Especially, when it only takes about five minutes a day to build it. It totally sucked when I broke the streak twice, once around 30 days and the other at 52 days. Luckily, I am yet to miss a day since. 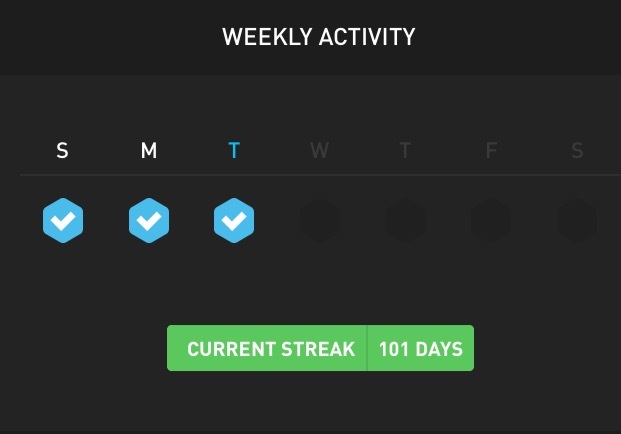 Until I break the streak again, I will say that it is easy to build streaks on tiny habits :). Touchwood! Completing three games daily takes about five minutes. It is easy to do, it is also easy not to do, as I recall a note from the fourth chapter of The Slight Edge. It usually takes another five to seven minutes to score perfect games. So it only takes at most fifteen minutes to make the day count and score perfect games. Everyone has fifteen minutes. There are no excuses really. I think this is what has helped me get going. Following are my stats and Elevate Proficiency Quotient (EPQ). I love how both the app’s design and my EPQ have evolved over time. I did not improve in listening because I always skipped listening games. Now that I celebrated the 400-day milestone by writing about it, 500, here I come. As a personal blogger mostly writing about myself, my biggest dilemma is to decide how much is too much. I often wonder if I am exposing myself too much on the internet. Until recently, I did not even dare to have my photo on this blog. I am certainly not ready to post my family’s photos here. I may, in the future, but for now, I play safe. And I don’t know what’s the harm with sharing personal photos on the blog. I still ponder. On the other hand, I love writing. Writing well is important to me. I write a lot in my day job about software and technology. I believe no one can practice enough of any skill, let alone writing. So I use this blog to practice a different form of writing. It is easy for me to write about myself. Which is what I do here. I could write privately. But I enjoy reading personal blogs of normal people around the world sharing their day-to-day life. I find those personal blogs far more enjoyable to read compared to reading something like latest iPhone or movie reviews or even news. Personal blogs are enlightening and at times inspiring. This, combined with my reluctance to be a passive consumer, makes me blog about myself. Although, deep down I am afraid of making myself vulnerable to judgement. It doesn’t matter if anyone reads it, buys it, sponsors it or shares it. It matters that you show up. So whatever the voices or gremlins in our heads are saying, our response is the same: just show up every day and do the work. All this will get me going for the next 200 posts. I just completed the Level 2 Pushp Challenge and signed up for Level 3. Level 3 helps me do 30 pushups in four weeks. I reached to 30 pushups in the last few days but today, on the last day of Level 2, I had to land on my knees at 28. But the numbers doesn’t matter much. The aim is to keep practicing. So I just signed up for Level 3. That is 130 days to nearly 30 pushups. Not too bad. I also bought this Dead-Simple Exercise Plan yesterday to complement my three high intensity exercises a week. I hope to use this plan on those days I don’t exercise. Today I am pleased to learn that the Elevate app is picked by Apple as the best iPhone app of 2014. So well done, people at Elevate Labs. Your work is awesome. I discovered and started using this app since this May. I broke the streak twice, once around 30 days and the latest at 52 days. But I am glad to hit a 100 day streak yesterday. It is a very well designed app that trains my brain across a range of cognitive functions like reading, writing, speaking, listening and math. I didn’t want to spend a lot of time and money, so I play the free version which lets me play three bite sized games a day. I can play all three games under 5 minutes and I spend a bit more time if I can, to get excellent scores. I strongly suggest everyone to check this app and start using it. It is an addiction that will indeed enhance your smarts and thereby your life.